Gray wolves are the largest members of the dog family, Canidae. 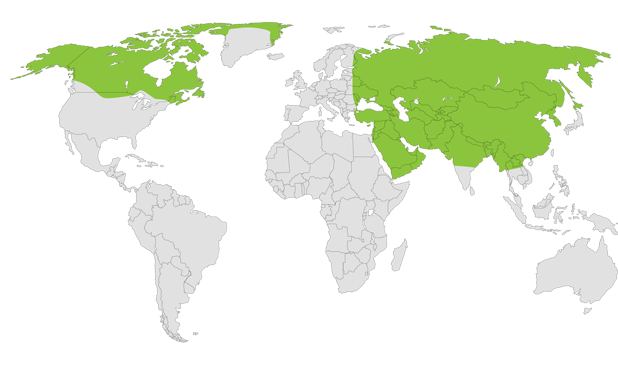 There are many subspecies of the gray wolf, including the dingo, arctic wolf, and domestic dog. 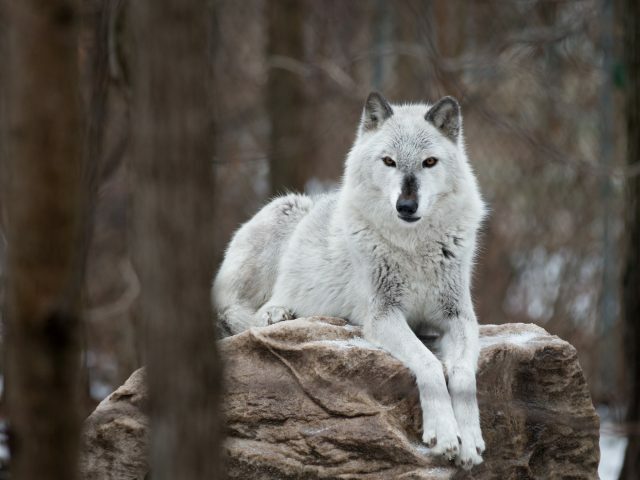 Wolves have thick fur with a dense undercoat, which provides them with protection from cold. 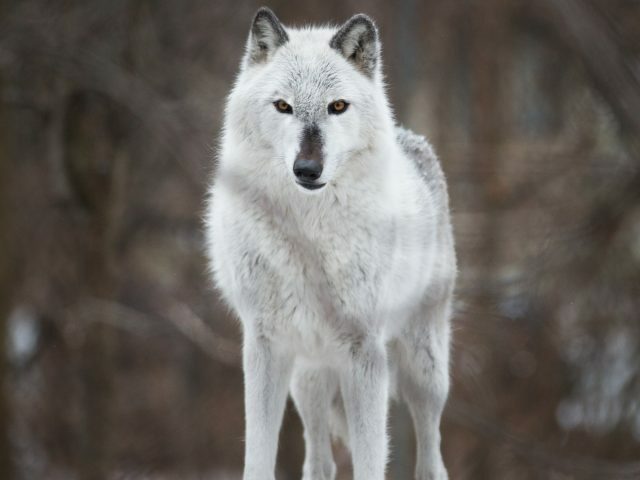 Generally these wolves range in color from black to nearly white, and all shades of gray or brown in between. Wolves live and hunt in packs, allowing them to take on larger prey, and they have very large feet with some webbing between the toes, which helps them run on snowy surfaces. Wolf social structure is quite complex, consisting of a dominance hierarchy. A wolf’s place in the hierarchy determines when it is allowed to eat and is enforced by behavior cues like muzzle licking and tail position. Wolves are easily recognized by their howl, which helps pack members locate each other and keep rival packs out of their territory. 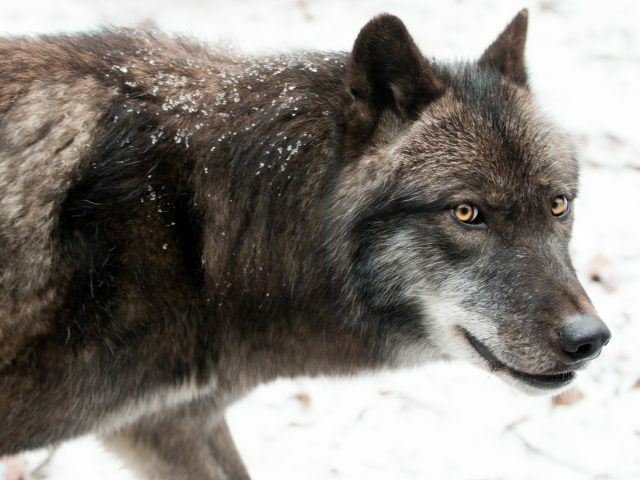 Wolves also use scent marking to communicate. Only certain wolves in the pack breed, but all individuals help care for the pups. Wolves eat the entire carcass of their prey, including bones and hair. Wolves have special blood vessels in their feet to keep their paw pads from freezing. 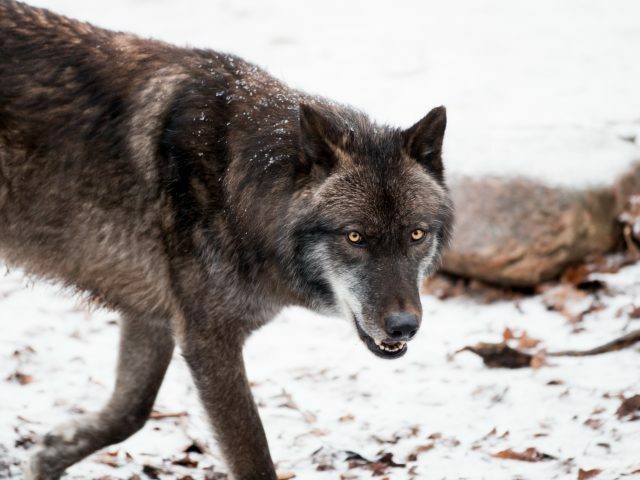 There are 3 wolves that call Potter Park Zoo home. 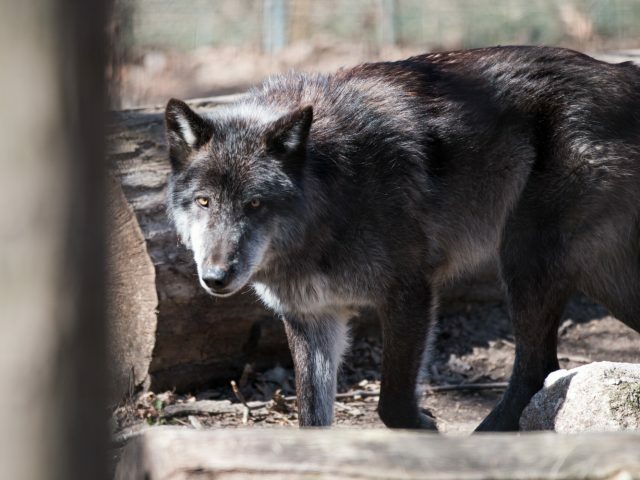 Tala is an 6-year-old female who came to the zoo in January of 2012 from a zoo in New York. The latest additions are Kamots and Tikanni. They are brothers and were born in the spring of 2014. They came from the same New York zoo and have been here since spring of 2015. Because of their thick fur, Michigan winters don’t faze them, especially when they have cozy shelters lined with blankets and straw. Wolves weigh from 75 to 150 pounds, and can range in length from 34 to 50 inches, not including the tail. 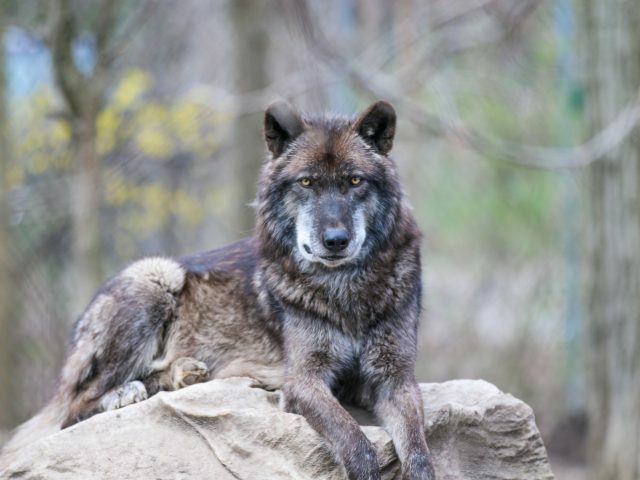 Wolves usually live about 8 years in the wild, but can live up to 15 years in captivity. If living in a large enough pack, wolves take down large prey like elk, moose, and caribou. Lone wolves or those living in very small packs eat small mammals like beaver and rabbits. Wolves will also steal kills from other animals and eat carrion.